The first edition of this book was the first on the physics of DNA to go beyond the simple (simplified) 'linear' approach, and it has since been found that the inclusion of nonlinear effects leads to a significantly improved interpretation of experimental data. This new edition naturally retains this approach, but has been completely revised, updated and expanded to cover recent developments. 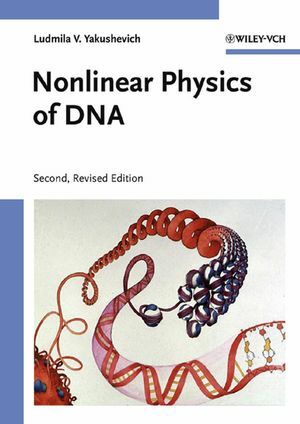 Beginning with introductory chapters on DNA structure and dynamics, the book also includes a comparison between linear and nonlinear approaches to the DNA molecule, a chapter devoted to the statistics of nonlinear excitations of DNA, and examples for the interpretation of experimental data on the dynamics of DNA in terms of nonlinear theory. Essential reading for researchers in biophysics and nonlinear physics, allowing biologists, chemists and physicists to continue developing new and improved techniques of investigating the DNA molecule. Ludmila V. Yakushevich is a Doctor of Science and leading research worker of the Laboratory of Physical and Chemical Mechanisms of Gene Expression, which is part of the Institute of Cell Biophysics of the Russian Academy of Sciences. The main research field is the dynamics of biopolymers, especially the nonlinear dynamics of DNA. The principal methods of investigations include theoretical physics and mathematical modeling.